The first album to feature their most iconic line-up, Can's 3rd album builds upon the experimental, funk, jazz and improv ideas of their earlier releases. Then they chop it up, re-combine it, jam over it, splice in alternate takes, and then shove it on top of a rock solid groove. 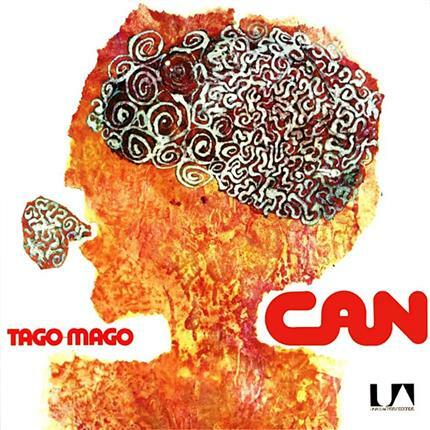 Much like the Velvet Underground's debut four years earlier, Tago Mago is an album that redefined the entire concept of how music could be performed and recorded for all who heard it. A true cult classic. As usual we'll follow the album with our usual 7" session. Bring along a single of your choice to spin after the main session. This can be anything you like, for any reason – the more out there the better. It's about meeting fellow music lovers, talking about the great records of the past and predicting upcoming future classics. The bar's open throughout and we're selling Veggie Chilli for just £3 a bowl. Doors open 12pm, session starts at 12.30pm.